Posted on January 25, 2012	by Platanos, Mangoes and Me! By the time you read this I will be sunning and resting in beautiful St Maarten. We will be staying on the Dutch side of the island. Last time I was there was about 20 years ago and I am so looking forward to food, rest and more food. When I return I will be commenting and reading all your posts. I leave you this recipe of my flan. When plating, it was so beautiful and silky that I had to find a special garnish for it. Great for St. Valentines Day. Caramel: In a small pan, (teflon coated) add a cup of sugar and heat until it begins to dissolve. Shake the pan slightly (do not stir) until all the sugar has melted. Increase the flame and let the sugar bubble and color. Pour the caramel into the mold and quickly turn it around in all directions to coat mold. Flan: Beat all the above ingredients well. Use a strainer when ready to pour into caramel prepared mold. Place mold into large pan and fill with hot water (Bain-marie) cook for about 45 minutes or until you insert a toothpick into the flan and it comes out clean. This was cut out from original flan. I just wanted to photograph an individual serving. HASTA LA VISTA AND BUEN PROVECHO! This entry was posted in Breakfast/Brunch, Desserts, Latin Traditional. Bookmark the permalink. This is the prettiest flan I’ve ever seen! I pinned the top photo on pinterest. I think the individual flans is really a sweet idea for a Valentine. What a beautiful presentation! Have a great vacation. Your fly is just gorgeous Norma. I’ll bet it tastes just as wonderful. Enjoy your trip!!!! Relax, put your feet up and EAT!!!!! beautiful! 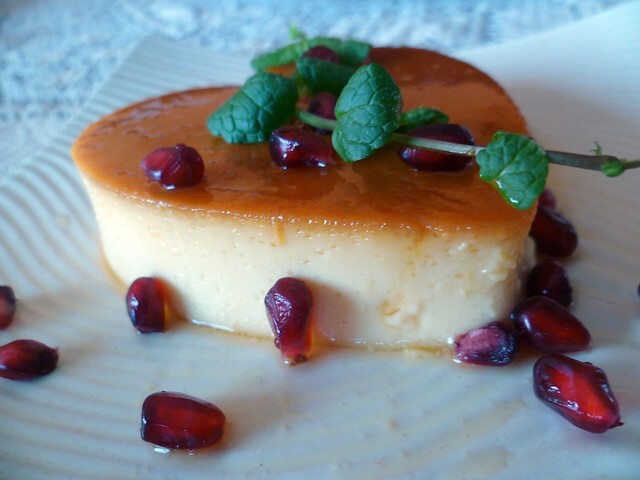 flan is one of my favorite desserts ever and i’ve tried to make it before but totally failed… but will try your recipe with hopefully better success next time! What fabulous presentation! I love the individual servings too. You’re right about this being perfect for Valentine’s Day. Have a fantastic time on your trip. “See” you when you return! I’m so glad i got you meet you and your hubby and friends. Great Energy!!! Looks so romantic, so beautiful, so Saint Valentine’s. WOW! This flan looks great and the presentation is beautiful!! what a pretty dessert. happy vacation! I think you outdid yourself with this one. Every photo is winning and I could nearly taste the richness through the screen. hope you’re having fun. What a glorious looking flan! That first photo is seriously droolworthy! Have a wonderful holiday! 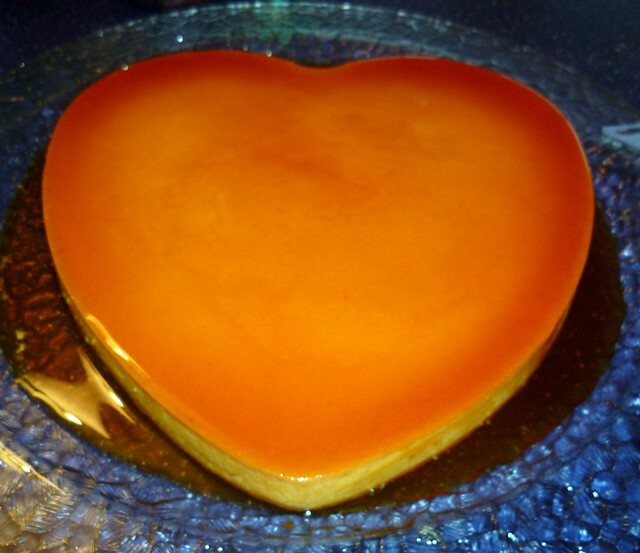 I love flan and this one looks amazing,Norma! This is my favorite dessert! Splendid! What a beauty. The texture is perfect. This is a wonderful recipe, and absolutely stunning photos! New to your blog and am really enjoying your recipes. Hope you’ve had a great vacation!! What a beautiful flan! Have a great time on your vacation. Abrazos! OMG LUCKY. Have fun! 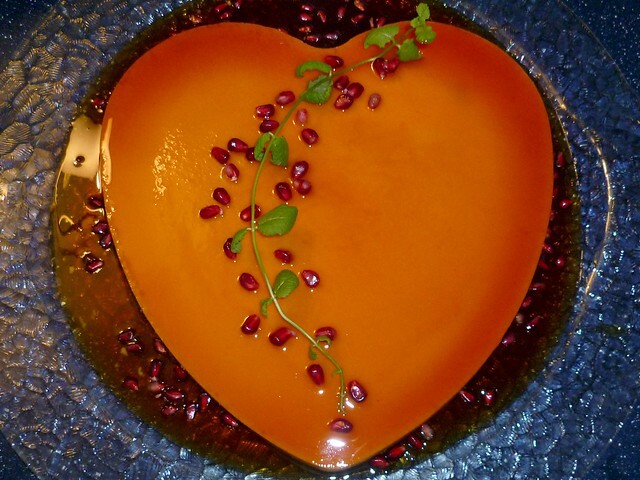 What a gorgeous flan…looks amazing. This is simply delicious by just looking at it….My valentine best be this creative! Hope you are relaxing and enjoying yourself! Norma this flan looks so delicious! I love how adorable it is in the shape of a heart! 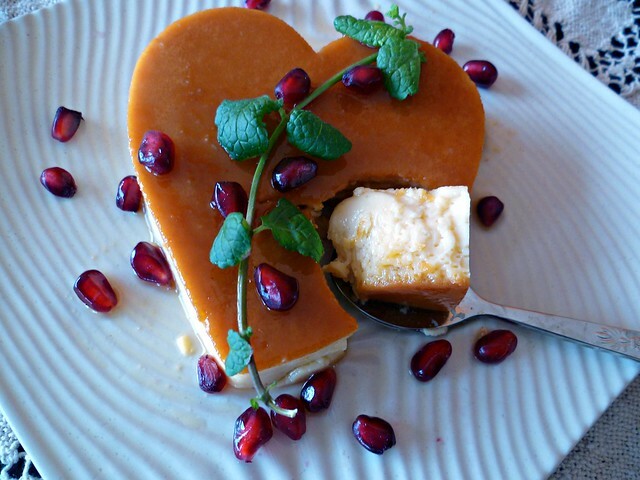 I have to make this soon I love tres leeches and flan so it is a perfect dessert! That is one gorgeous flan Norma! Completely irresistible. I hope you had a wonderful vacation! Your comments came through fine – thanks! Have a great time and get plenty of R&R. I went to your blog and joined…tried leaving comments, but was not visible…is it going into your spam folder? Hmmm, not sure, I’ll have to look at see. Flan is so tough to do well. Looks like you did a great job! I’ve given up trying to make great flan myself. I just order from Flan King (www.flan-king.com) and my family loves it. They have a number of great flavors including chocolate, coffee, banana, marble, etc. I think there’s still a discount code for 10% off ( GS3255 ) if you want to try it some time. This is my all time most favorite dessert ever! Who knew it was so easy to make? You have made my day. Pretty, pretty flan!! Me encanta! Y el molde de corazon le da un toque precioso! Bren coming from you its a compliment…..thank you! I love flan. All types. Yours looks so lovely. Norma – this is fabulous! So glad we are Team 3 together! YAY for our (secret) theme. I love your photography and especially love the heart shape!